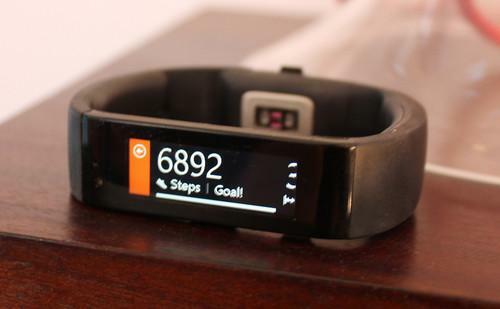 There's a new software development kit out for those who want to create apps for Microsoft's Band fitness tracker. With the SDK, which Microsoft previewed in February, developers can create apps that bring information from the wearable's sensors or notifications from a paired smartphone to a person's wrist. The full release allows developers to create apps that support Windows, access the caloric data stored in the wearable and connect to Band from tasks running in the background. Other functions include the ability to greater customize notification tiles. Functions that were available in the preview, like access to all of the Band's sensors, which include a gyroscope, heart rate monitor and accelerometer, are also part of the release that came out Thursday. Band works with Apple, Android and Windows Phone devices and versions of the SDK are available for each mobile OS. Band is powered by Microsoft Health, a cloud-based fitness service that offers personalized wellness and exercise information using data gathered from wearables. Allowing developers to build unique apps for Band could help the wearable compete against Google and Apple, which began shipping the Apple Watch last month. The Band may not have as much cachet as Apple's new device, but the US$199 wearable was hard to find after it went on sale last October. During the holiday shopping season, the Band was often sold out on Microsoft's online store.